Today we’re looking at one of those movies I’ve seen beginning to end, but never in order and never in one sitting. On a whim, I thought it might be fun to check out what Harrison Ford did during his down time on the Star Wars films. 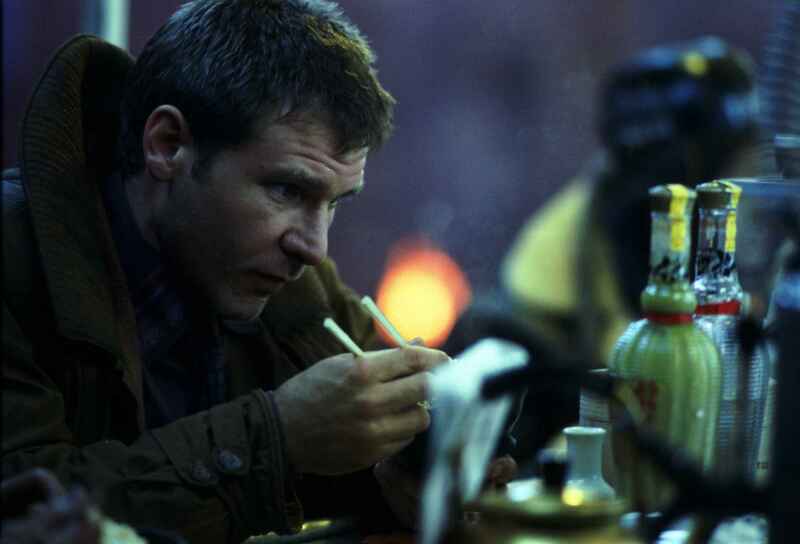 Logline: Deckard, a blade runner, has to track down and terminate 4 replicants who hijacked a ship in space and have returned to earth seeking their maker. Nothing fancy, just plain neat. The description here was good mixed with bad. There were some very punchy one line descriptions that seem before their time and the kind of thing professional readers look for in a spec script. The bad was that there were HUGE BLOCKS of text that were hard to get through. Is this in that gray area of unfilmable? Maybe, but it nails EXACTLY how the character is smiling. We KNOW this is not a good smile, and it sets the character’s tone for the rest of the script. The eye belongs to BATTY, athletic and mean with a crew cut. Then use the line from page 30? That sets a MUCH BETTER tone for who Roy Batty is without overdoing it. The Spinner works it’s way into the hustle and bustle of the crowded and polluted horizon beyond. Another good example that creates a great mental image. Gaff has to smile and nod politely, that’s his job. This one’s probably my second favorite as it lets you know EXACTLY how Gaff is smiling and nodding. I can see that easily. He’s only doing it because Bryant’s his superior. There were some others peppered throughout the script, and overall none of the description was really bad. Especially considering the setting that needed to be explained. We’re not dumb. We got it the first time. She’s scared, and that her hand was causing the glass to shake, not some random earthquake. This is a GREAT trick to use in our own writing. Not only are you describing things in a unique way, you’re also not spelling things out for us. Hint that there’s water over yonder, don’t drag the reader to it by the nose. I do think breaking up those large amounts of text (and maybe even cutting back) could greatly improve this script’s readability. Besides the long blocks of description, oftentimes over 5 lines, the only other odd thing was how characters were introduced. Similar to the Batty one from the previous question, they’re too long. Then get on with your story. Their actions and dialogue in the rest of the script should let us know what type of people they are. Free of exposition? Definitely not. Again, I look at this as a script before it’s time. The authors bring us into a very complex future society that needs to be explained. Think of this script as Inception’s grandfather. Page 14 is a great example, as we get from Bryant what “skin jobs” are and why Deckard has to find them. Would it be cooler seeing why? Probably. Same thing with the following scene (page 18) where Holden explains to Deckard how he got hurt. Problem here is we already saw it. (It’s the first scene.) The only saving grace is the relationship set up between Deckard and Holden, which shows Deckard’s not entirely a loner. He can care. This scene would work better if they had something new to talk about, maybe something they both had trouble with when working together that can later be called upon in the story. Perhaps like Deckard helping Rachael. Page 9 – The Japanese dialogue is set up a bit odd. Not sure we need the underlined text. Deckard looks at Gaff. He hasn’t understood a word. Page 23: I loved the subtext in Rachael’s answers. Especially when it’s followed by Deckard and Tyrell not saying straight out that she’s a replicant. Very well done on that bit. All in all the dialogue wasn’t bad. It did have to set up the world we’re in so I won’t completely take off for boring exposition, and I did like some of the Han Solo type lines for Deckard. Maybe a cool graphic novel or book too, but between the stage or big screen, it’d have to go big screen. All the elements of a sci-fi action/adventure are there. Being that this story is based on a novel we can’t really argue its originality. Having said that, I’ve never read the novel so maybe there were parts completely unique to the script. That a cop out? Maybe, but feel free to leave a comment if you have proof leaning one way or the other. The first two pages, plus the logline definitely drew me in. The heavily industrialized future setting is very cool, as is the idea behind finding and killing replicants. The one problem I had with it was the interrogation. It took a bit to get into, and I felt very lost initially. I still kind of do even after watching the movie and reading the script. A bit of clever exposition here, or some dialogue subtext, would be beneficial so we get the idea Holden is looking for something nonhuman. It’s good, but a bit slow moving. This is probably why I’ve never been able to watch the movie beginning to end in one sitting. I like how Leon injures Holden, in a way that makes us wonder what exactly he is. I also like how Deckard is introduced in this dirty and grimy world. Then I even like how Gaff brings Deckard in. Should have been a more defined event to suddenly make Deckard want to embark on this journey. We even kind of have an earlier reason there in that he seems to be fond of Holden, so why not use that? 11 out of 15 points. The rest of the script was well paced and kept moving. I liked the alternate story with Rachael, especially considering the twist at the end. I liked Deckard picking off the Nexus 6 units one by one. One part I didn’t like was the snake bit. It seemed kind of odd how Deckard was able to tie that all together. Almost like he stumbled onto the replicants, that one in particular. The other problem I had was the twist ending. It really didn’t happen until the very end. I’m not sure if we’re left to wonder if Deckard is a “skin job” himself, or if he just actually is. If the script was written today, I have a feeling that twist would come around page 75 and have something to do with Rachael, causing BIG TROUBLE between her and Deckard. In all honesty, this would have delivered more bang for the buck compared to how the script actually handles it. If I’m looking at the right figures the movie made $32 Million to date while only costing $28 million. That’s a gain, so therefore a success. ***I’ll make it simple and treat 1982 dollars like 2012 dollars, even though I know that’s not anywhere close to accurate. 1.) Deckard saying, “Espa?” which refers to the computer, but this is never really stated. I actually thought someone else was in the room with him. 2.) Gaff apparently has been working on a small metal unicorn the entire script, but it only shows up at the end, and Deckard magically takes it with him. (Apparently it allows Gaff to track him.) This seemed like a cheap trick at keeping the story open for a potential sequel. I liked the script, and was able to finish it, at least, in one sitting. The story was paced well, and I’m a sucker for sci-fi, so that helped. Does Harrison Ford play a character like Han Solo or Indiana Jones? No, but the dialogue here was reminiscent of that. Like I said earlier, nothing fancy, just plain neat. Total 74 out of 100 points. While not really a fan of science fiction or futuristic subjects, I must admit is has been fascinating to read the two most recent reviews (Blade Runner, The Matrix), because they focus on elements of these movies that are largely overlooked: story, structure, dialogue, characterization. The scripts. Both of these successful and hugely influential (for better or worse) films are primarily recognized for their visuals; art direction, set design, and in the case of The Matrix the mind boggling (or is that numbing) computer choreography. I find in both scripts a palpable sense that the writers are leaning on the visuals that they know will be available during production. And now reading the scripts I realize that it isn’t totally on the actors that the performances are so, well, wooden. (It seems an odd material to introduce into such high-tech worlds. It really should be that Harrison Ford was a “little graphite”, while Keanu Reeves’ performance was “pure titanium”.) 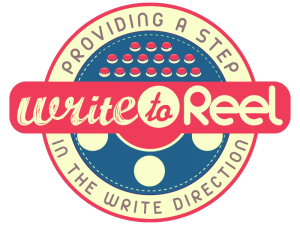 I will concede that the legions of sequels, copycats, and pretenders that has followed these movies have inadvertantly proven the importance of starting with a decent script. Finally, because these movies have such outsized reputations, I feel compelled to be slightly contrary (moi?) and mention a few of the seminal science fiction films that preceded them: Metropolis, Orphee, Alphaville, La Jetee, Solaris, and Stalker. You know just how to make me feel better. Well I wish I could feel sorry for you but I wrote two pretty good guest reviews here that vanished without a trace of a trace of a trace. At least you’ve got a Hanky to sniffle into. All I have is this walker, to remind me of my disability.